The race is held annually on the Sunday of Memorial Day weekend. Runners in the Vermont City Marathon can compete in the full marathon, on a two-person relay team running half marathons, or on a three-to-five person relay team running legs ranging from 3.1 to 6.2 miles. 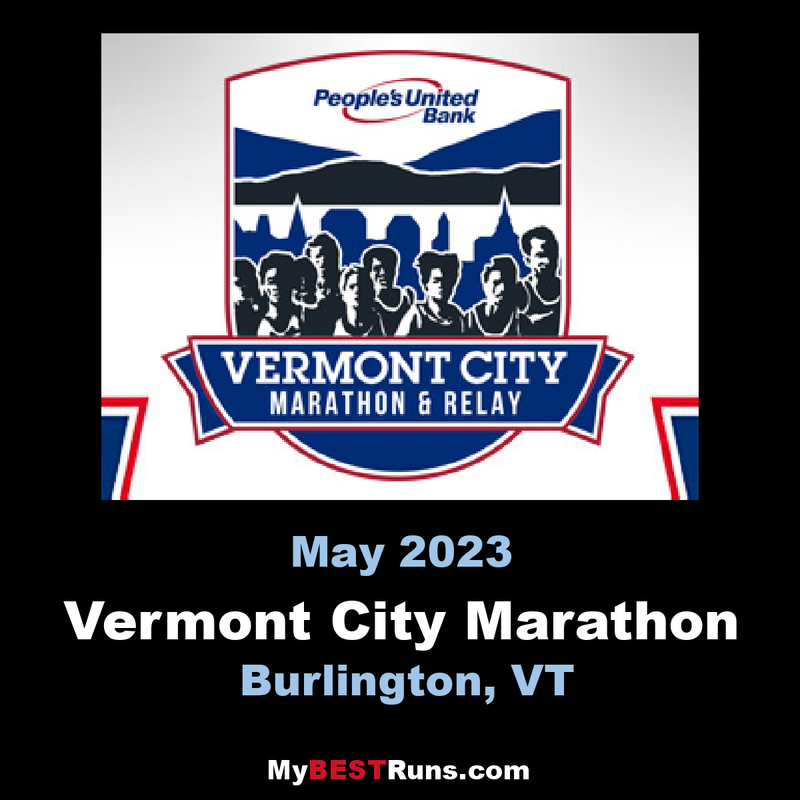 The Vermont City Marathon is a Boston Marathon Qualifying Race. We automatically provide BAA with our results after the race and is a state championship race. As the largest one day sporting event in Vermont, we often have to go outside the state to acquire the level of support required for the race. Course barricades come from out of state as do many other supplies in the quantities we need to support all the runners. We also spend a significant amount of money for tents and venue rentals, permitting fees and printing collateral materials, training materials and shirts for the volunteers. Our USATF certified course starts at Battery Park, overlooking Lake Champlain and the Adirondack Mountains. The opening miles are run through tree-lined residential streets and Burlington’s pedestrian Marketplace where an enthusiastic crowd of spectators will inspire you. At mile 3.7 you begin a 4.5 mile out and back section on the Northern Connector, a divided highway which is closed to traffic only once a year – for your race. On the Northern Connector, enjoy beautiful views of the Green Mountains and get a chance to see the leaders and your friends as you cross paths. At mile 8.2, return to city streets for a second pass through the Marketplace and a loop of Burlington’s South End. At the half-way point of the course, enter Oakledge Park. Mile 15 brings the Assault on Battery; 6 blocks climbing Battery Street. You’ll see musicians and throngs of spectators to inspire you up the hill. The next 6.5 miles take you out North Avenue on gently rolling terrain through many shaded neighborhoods. A steep downhill at mile 21.5 brings you to the Burlington Bikepath, which provides beautiful lake views and flat to slightly downhill terrain over the last 4.5 miles. Your finish and all post-race festivities occur in Waterfront Park where you’ll be greeted by thousands of cheering spectators.